Dawn of the Planet of the Apes. What a mouthful. The Matt Reeves directed, Andy Serkis mo-capped, Jason Clarke acted sequel to 2011’s Rupert Wyatt-James Franco lead Rise of the Planet of the Apes is the 8th film in the franchise that stretches back 36 years and includes two television shows. The rebooted franchise does away with the twist ending of the original film by firmly planting the story on our Earth from the get-go (the spoiler-free nature of the post is for this film I must add) and strives to muddy the lines between Apes and their more evolved descendants, humans. From here on out, I will refer to the films as Rise and Dawn as preferable alternatives to the acronymised RotPotA/DotPotA. Caesar (motion captured by actor Andy Serkis) is the leader of the Apes. He’s a father to Blue Eyes, friend to Maurice and Koba (Toby Kebbell, RocknRolla, Prince of Persia, Wrath of the Titans) the ape bruised and scarred after being the first successful animal trial of the 113 strain of the Alzheimer’s drug that spawns simian flu when contracted by humans. 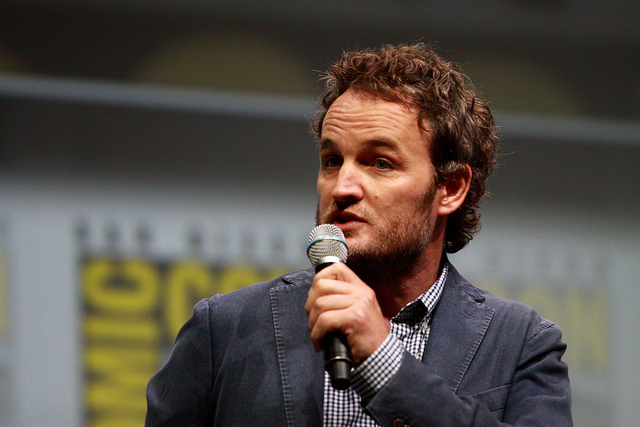 He is the counterpart to Jason Clarke’s Malcolm and Gary Oldman’s Dreyfus. Clarke is empathetic, patient and full of compassion compared with the militaristic charisma of a Gary Oldman who has no problem chewing scenery and delivering his lines with a gusto that should restore faith in anyone who thinks he’ll be on autopilot. They are the two arms of the human’s survivor movement as Clarke symbolises their hope and optimism in the face of adversity and Oldman the resourceful leader that hardens that every post-apocalyptic human society needs. The film thrives when spending time in the ape compound. They have learnt a rich sign language and there are moments of arresting silence as the Apes interact with one another about simple things all the way to plot elements contrasted by the animalistic non-subtitled growling and shrieking that serves the audio affirmation/reminder of Dreyfus’ trailer line “They’re animals!” In case you were getting too into them. No one will forget the moment Caesar yelled “NO!” when grabbing the arm of abusive sanctuary helper Dodge Landon played by the perpetually sneering Draco Malfoy, sorry I mean Tom Felton. Dawn similarly focuses on the developing articulacy of Caesar and the Apes through dialogue, the way their society is run and their behaviour when brought before tragedy and hardship. But where the film falls down is in its almost identikit human survivalist narrative. Yes, the humans have lost a lot, there’s the nice guy who wants to win trust whose work is undone by headstrong angry guys that just want to incite boom-boom explosions and conflict. This film has two of these “angry guy” characters and doesn’t attempt to wrap them in any kind of nuance. To their credit, the actors made the events more than perfunctory but they were making the best of limited roles. There is the mother that has lost everything, Ellie (Keri Russell, MI:III, Felicity), that has her purpose reaffirmed by a man (Clarke) as she tries to be a mother in an awful world. The humans are almost boring. Aside from the absence of any interesting female characters – ape or human – Reeves’ aesthetic is more about the Apes and I could’ve watched an entirely silent film of them signing complete with shrieking and occasional simply constructed sentences. 33% of the screenwriting team were female so maybe she also didn’t really see a place for women either. Dawn of the Planet of the Apes, CGI and motion capture aside, at the end of it all is a film of fathers – both good and bad. Humans are the fathers of these Apes and can’t find a way to co-exist and Caesar is a father to the evolved Apes and strives to create a harmonious civilisation free from the human negatives. The most absent figure is James Franco, whose doctor Will Rodman began all of this. It was a shame he wasn’t here to continue the work he put into the successful rebooting of the franchise but they did find a way of bringing him into the film. The Apes steal the show and one day Andy Serkis will be acknowledged for his motion capture work. The visual effects are stunning, the score effectively compounds all the emotional landscapes that Reeves wants the audience to traverse. A strength of the storytelling prevents the viewer from falling firmly in one camp over the other which is something I can’t praise enough. I almost don’t want the inevitable 3rd Apes film because I don’t really know what more they can bring to the table that eschews the trope-filled narrative of resistance versus superior force warfare but I will see it if it’s finally the concluding The Planet of The Apes.